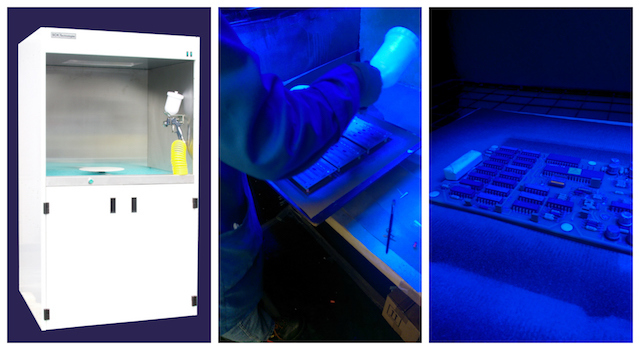 Providing a complete conformal coating production line is one of SCH Technologies specialties. We can provide turn key solutions for any conformal coating application process whether that is batch or inline processing. As part of that turn key solution we can offer packages of equipment for a start up process. This allows SCH to offer the complete conformal coating solution at a discount to customers to ensure that they receive the best deal possible. The spray booth production facility bundle offers a customer the complete solution for processing 1000’s of circuit boards per week. This discount package offers a high throughput for the batch spray coating production, whilst providing full process control of the conformal coating application process. 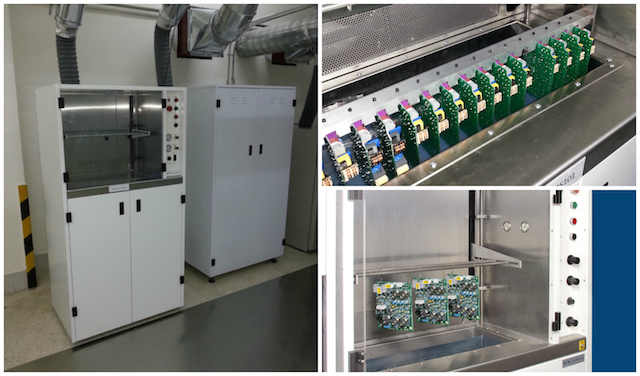 The dip coating production facility bundle offers a customer the complete solution for processing circuit boards using dipping as the method of application. This discount package offers a high throughput for batch dipping coating production, whilst providing full process control of the conformal coating application process.